jacksfilms Reacts to the College Kids reacting to jacksfilms! Watch to see his reactions! 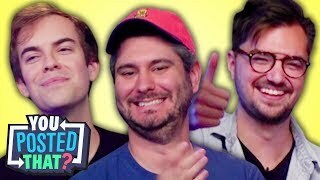 FBE please make a teens react to jacksfilms reacts to teens react to jacksfilms, then a jacksfilms reacts to teens react to jacksfilms reacts to teens react to jacksfilms. 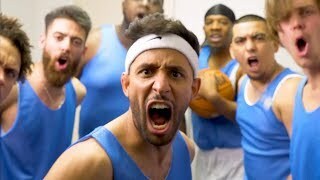 FBE!! 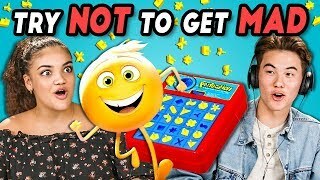 Do a reaction to idubbz next!! I can proudly say that I made it on YIAY #392. Jackfilms reacting to college kids react to Jackfilms reacting to college kids react to Jackfilms reacting to college kids react to Jackfilms. Erin looking hecka good in this video!! Are you the KidzBop manager by any chance? oh wow the jacksfilms channel! I've never seen Erin show genuine admiration for Jack's videos. That's really nice to see. jack and erin are one of the cutest and realest couples on youtube i love them. Do a “college kids react to jacksfilms” where he’s actually there at the end! 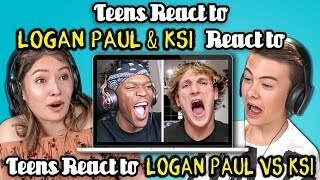 Still no KSI reacts to teens react to KSI. 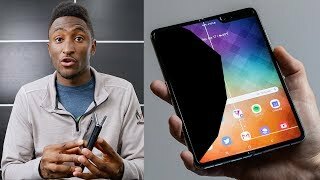 @AFSalas13 KSI reacted to teens react to him a while ago. But that was on his channel. Everone knows. Erin is the reason why his channel survived. Please have the college kids watch this!! And then have Jackfilms watch that!! Next episode is "college kids reacting to jacksfilms reacting to college kids reacting to jacksfilms reacting to college kids reacting to jacksfilms reacting to jacksfilms." Very cool nerd joke. That is such an old joke!! How much did you pay them? He'd never say yass. I love jacksfilms so much and his comedy is amazing! And to see how proud erin is of him is so touching. They are a great couple. Now do a video about college students reacting to jacksfilms reacting to college students reacting to jacksfilms! Jacksfilms is college kids material. Erin doesn't seem trapped in this? Why is she supportive? 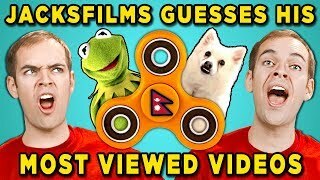 Why isn't Jacksfilms doing this himself on his channel? It feels a bit personal when it's just one youtuber on their own reacting to it. Yiay vs lwiay reaction!!! Make it happend. That is the most realistic couple ever. And side note, how's the alcoholism coming along? WAIT I'M SHAKING I haven't watched Jacksfilms in like over a year and now he's married to Erin???? I thought they broke up aha. You done good, John. They will be married in 2 months I think. I love Erin's two sides, beautiful couple.